Information security vendors are telling customers to think in a new way. At the core of their advice is the idea — the admission, if you like — that no matter how good the defences they sell, sooner or later the bad guys will get through. 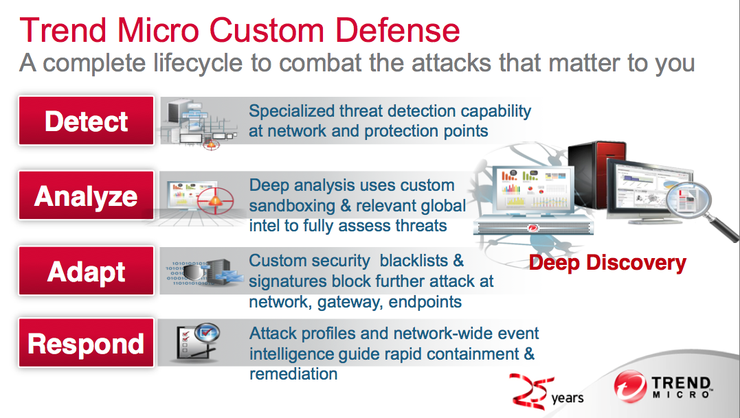 Trend Micro's version of this advice follows the now-standard narrative. Attacks are becoming increasingly targeted and mumble mumble advanced persistent threats (APTs) Chinese hackers eek. Good-enough security isn't good enough to divert a targeted attack to an easier target — because that's not who they're after.